The neighborhood where I live is overflowing with pigeons. 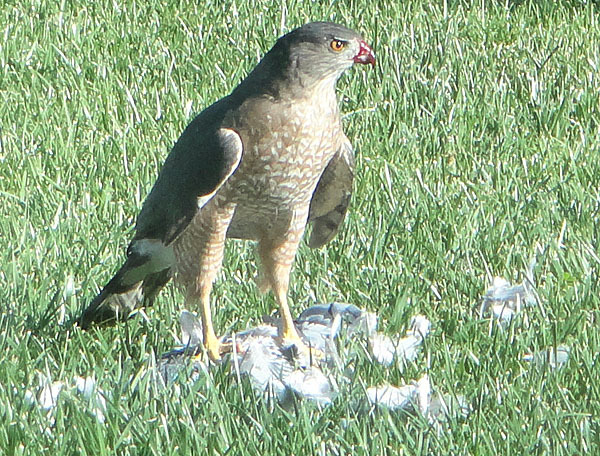 Needless to say I was thrilled this morning when I saw this hawk in my backyard volunteering to help us eliminate them. I’ve asked the hawk to write about its dining experience on SantaBarbara.com. That is a beautiful photo John- gorgeous bird!